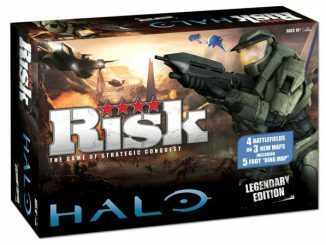 We all know how big the online Halo community is and that the larger than life game has captured the hearts of so many gamers around the world; so it seems funny that the stars of the Halo Reach blockbuster video game would come to us as the Halo Minimates Series 2 Box Set . 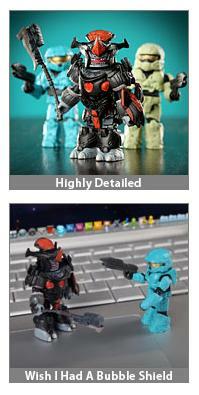 At least the Brute Chieftain seems less intimidating in his new shrunken size. 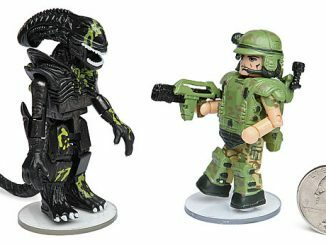 These 2″ tall mini-figures have 14 points of articulation and a ready to do battle or just decorate your workspace in Halo Reach style. 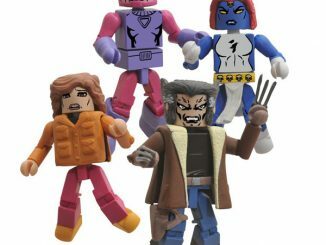 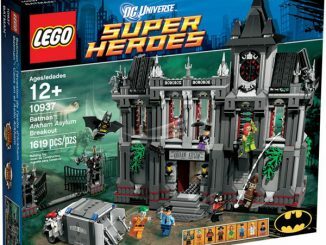 A Diamond Select Release! 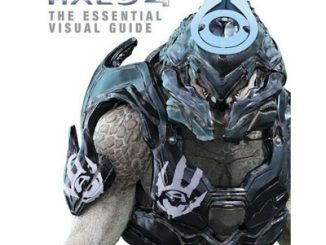 Art Asylum design and sculpt! 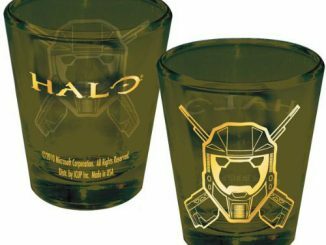 In 2552, the Covenant arrives at Reach, the UNSC’s last major stronghold, and bombard the planet, turning much of its surface to molten glass. 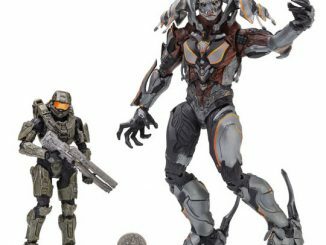 The Master Chief, seemingly one of the last Spartans alive, escapes on the Pillar of Autumn. 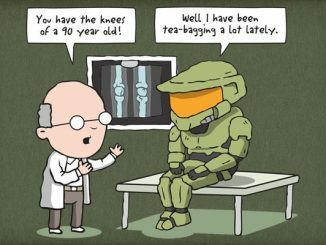 Thus one of the biggest video game franchises is born. 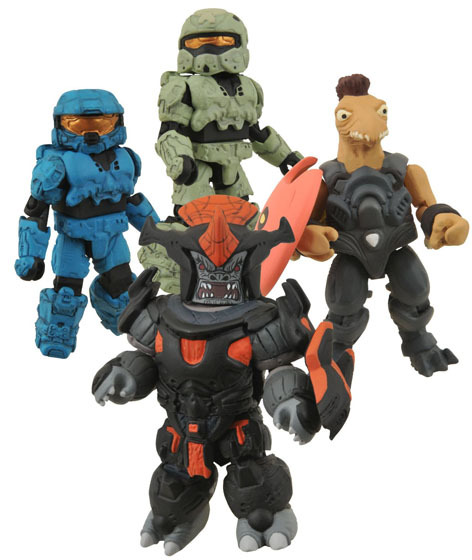 Hot on the heels of the huge Halo: Reach release, DST brings you the second Minimates box set featuring a teal color Mark-VI Spartan, The Jackal Major, Rogue Green, and an exclusive Brute Chieftain. 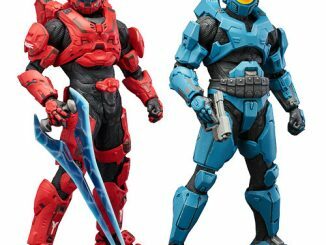 Teal color Mark-VI Spartan, The Jackal Major, Rogue Green, and an exclusive Brute Chieftain. 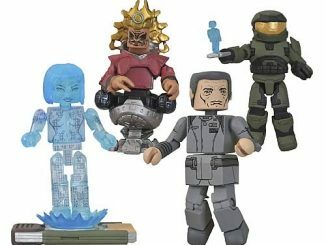 You can purchase the collectible Halo Minimates Series 2 Box Set from ThinkGeek for $17.99 and at Amazon.com from $10.95. 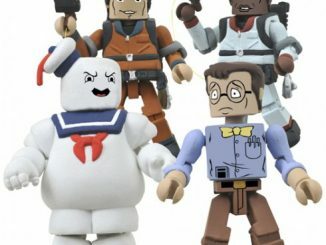 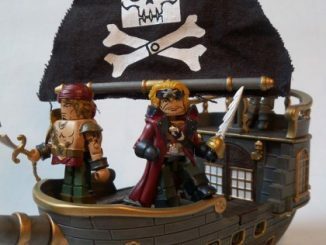 If you are looking for some other cool minimates, checkout the Ghostbusters and Calico Jacks Pirate Raiders.